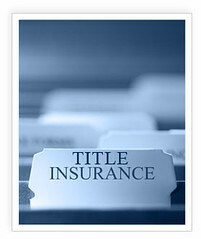 When considering title insurance, it can be confusing as to what is required and what is optional. Many times when one is beginning the mortgage process, it can become puzzling as to what certain insurances are, and what exactly they are protecting. This can be especially true when it comes to title insurance. There are two different types of title insurance policies; lenders and owners. A lenders policy protects the lender in the event of title defects, while an owner’s policy protects the new homeowner from liens owed by the previous owner. Today, I am going to discuss the owner’s policy. Unlike the lenders policy, the owner’s policy is optional to purchase. While I would never advise to forgo this important coverage, there are times that people choose not to purchase it due to extra costs incurred at closing. This is because just like a lenders policy, the owner’s policy is a one time premium that is collected at closing. Therefore, it can substantially increase ones closing costs. Aforementioned, an owner’s title insurance policy protects the new owner in the event that there are liens owed from the previous owner. Essentially, what this is protecting is the new owner’s equity position (down payment) on the home at the time of purchase. The more equity the homeowner has, the more vulnerable they become if not protected. So if this policy is optional, then who pays for it? Well, depending on the county that the new homeowner is purchasing in, will determine often times on if the seller pays for the owner’s title insurance or if the buyer does. Assuming the buyer is paying for it, then the seller cannot tell the buyer what title company must be used. However, it the seller is paying for it then they get to have the title company of their choice. Posted on November 25, 2013, in Finance and tagged Bonita Springs Loan Officer, Cape Coral Loan Officer, Estero Loan Officer, Finance Me, Florida Loan Officer, Fort Myers Loan Officer, Lender, Loan, Matt Pell, Mortgage, Mortgage Warehouse, Property Guiding, Real Estate Financing, SWFL Real Estate. Bookmark the permalink. 1 Comment.